Thanks to a friend of mine (Daniel Bridge) telling me how, I recently discovered that one of my water spider photos was being used on a blog despite it being copyrighted and a couple of my fox photos on a Creationist Wiki! 2. Open up a second window with the photo you wish to search for. Then drag this image to the search box in the second window. 3. 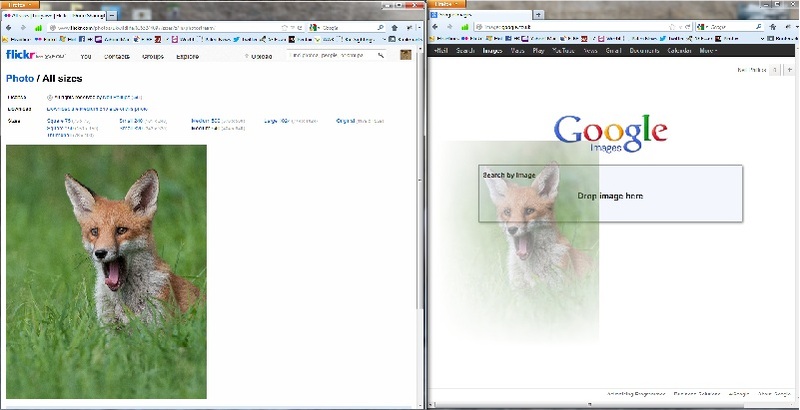 Then Google will show you a list where your image and similar images have been used on the internet.